WNBA player and model, Lisa Leslie, was born on July 7, 1972 in Gardena, California. Lisa Leslie, the most-recognized player in the WNBA, is the most dominant player in the women’s game and is a two-time MVP. Lisa is leading the charge for the new-look Los Angele Sparks. Lisa Leslie became a famous basketball player long before her career in the WNBA began. She was quite tall even in her youth, already standing six foot tall when she started playing basketball in the seventh grade. 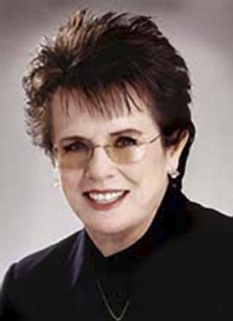 She was a dominating player made legendary by scoring 101 points in the first half of a high school basketball game, and would likely have broken Cheryl Miller's high school record of 105 points if the other team had not forfeited at halftime. 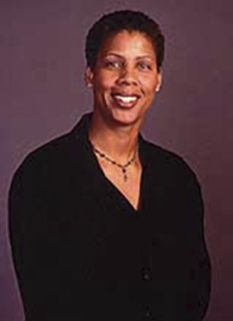 Among her many accolades at Morningside High School in Inglewood, California, Leslie was named the 1990 Gatorade Girls Basketball National Player of the Year, and received the Dial Award for female American high-school athlete/scholar of the year in 1989. After high school, Lisa Leslie attended the University of Southern California She was a four time All-Pacific Ten Conference first team selection. 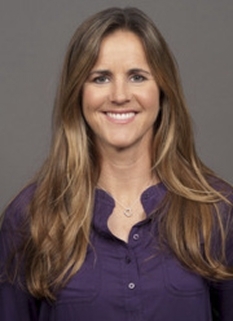 After winning a gold medal with the Women's Olympic team in the 1996 Summer Olympic Games, Leslie became one of the original members of the Los Angeles Sparks when the WNBA's first season opened in 1997. She had stated her intentions of dunking in a game before the first season even started, and she tried to dunk the ball on the first game of that season, against the New York Liberty, but she missed. She led the WNBA in rebounds in 1997 (9.5 rpg) and 1998 (10.2 rpg). Throughout the late 1990s, the Sparks kept paving their way to the playoffs, but getting eliminated as the Houston Comets claimed every WNBA championship played in that decade. After winning a gold medal in the 2000 Summer Olympic Games the Sparks were finally able to topple the Comets in 2001, and they beat the Charlotte Sting to win the WNBA title for the first time. In 2001, she was named MVP of the league, the all-star game and the finals, becoming the first player ever to garner all three awards in the same season. 2002 was a very successful year for Leslie. In 2002, she helped win the USA World Championships in women's basketball, and was rewarded with MVP and All-Tournament team honors. On July 22, 2002 she had become the first WNBA player to have over 3,000 career points, when she scored 24 points against the Orlando Miracle. On July 30, 2002, in a game against the Miami Sol, she became the first player to score with a dunk in a WNBA game. After a steal by teammate Latasha Byears, Leslie caught Byears's outlet pass and made a fast break, one-handed dunk. The Staples Center crowd and her teammates erupted into a spontaneous celebration that stopped the game for a few minutes. After winning the MVP Award in the 2002 WNBA All-Star Game, she helped lead the Sparks to their second straight world championship, garnering WNBA Finals MVP honors. She returned to school in the 2002 off-season to work on a Master’s Degree in Business Administration. On July 29 of 2004, she reached the milestone of 4,000 career points, scoring 17 points in an 85-80, double overtime victory over the Sacramento Monarchs. Later that year she won a gold medal with United States women's national basketball team in the 2004 Summer Olympic Games. At the 2005 WNBA All Star Game, Leslie dunked once again in the closing seconds of the game. It was both the second dunk of her career in the WNBA as well as the second dunk in the history of the WNBA. On June 25, 2006, Lisa Leslie scored her 5,000th career point and set an individual career high with 41 points versus the San Antonio Silver Stars. At the end of the season, she was named the WNBA MVP for the third time. On July 22, 2008, Lisa was involved in an on-court confrontation with Detroit Shock assistant coach Rick Mahorn, in which it appeared that Mahorn tapped her to the floor sending her flying almost 15 feet after she headed on to the court to help her teammate Candace Parker. Lisa was suspended for 1 game for her part in the confrontation. 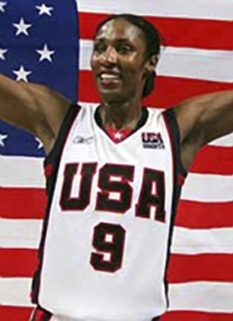 Lisa Leslie has been a member of the U.S. womens basketball team at four Summer Olympic Games: Atlanta 1996, Sydney 2000, Athens 2004 and Beijing 2008. The team won gold medals in 1996, 2000, 2004 and 2008. Lisa Leslie is also a fashion model and aspiring actress on the side. Although a far superior athlete to actress, in June 1996, she signed a contract with the Wilhelmina modeling agency. Packaged with her undeniable height, she is one of five Olympic athletes featured in a Herb Ritts photo spread for Vogue magazine and has modeled designs by Armani, Tommy Hilfiger, Gigi Hunter and Anne Klein. 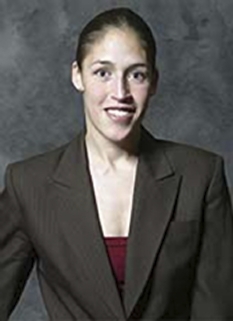 During the NCAA Women's Basketball Tournament in 2005 Lisa worked on the air for ESPN adding opinion and commentary. 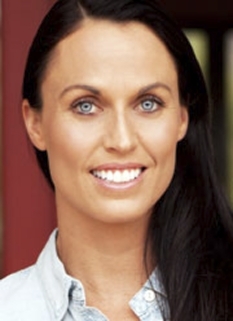 She has done commentary for several USC basketball games and has also been a guest correspondent on NBA Inside Stuff. She would like continue broadcasting when her basketball career is over. She has also appeared in episodes of The Jersey and Sister, Sister, as well as various commercials. Leslie also made an appearance in Love and Basketball on the Los Angeles Sparks WNBA team. She also appeared on Hang Time, Moesha, Who Wants to be a Millionaire?, One on One, The Weakest Link,While you were Out and Punk'd. She once appeared in an episode of The Simpsons, and was portrayed with an exaggerated, tall figure. Along with her mother, Lisa Leslie is an advocate for breast cancer research. Leslie's mom, Christine Leslie-Espinoza, was once a cross-country truck driver. Leslie has stated that her mother is the person she admires the most. Leslie has two sisters and four brothers. Lisa Leslie married Michael Lockwood, a pilot and former Air Force basketball player, in Maui in November 2005. Leslie gave birth to the couple's first child, daughter Lauren Jolie Lockwood, on June 15, 2007 in Los Angeles. Leslie missed the 2007 WNBA season due to pregnancy and maternity leave. On December 13, 2007, the Los Angeles Sparks announced that Leslie would return for the 2008 WNBA season. In her first six games back she has averaged a double-double along with 3.8 blocks and 2.3 steals per game. DISCLAIMER: PFP Sports Talent Agency does not claim to represent itself as the exclusive agent for Lisa Leslie. PFP Sports Talent Agency is a booking agency that represents organizations seeking to hire pro athletes and sports personalities such as Lisa Leslie for speaking engagements, personal appearances, product endorsements and corporate entertainment. Fees on this website are estimates and are intended only as a guideline. Exact fees are determined by a number of factors, including the location of event, the talent’s schedule, requested duties and supply and demand. PFP Sports Talent Agency makes no guarantees to the accuracy of information found on this website and does not warrant that any information or representations contained on this website will be accurate or free from errors. We are often asked how can I find out who is Lisa Leslie's agent? To find Lisa Leslie appearance fees and booking agent details, you can contact the agent, representative or manager through PFP Sports Talent Agency for speaking fee costs and availability. PFP Sports Talent Agency can help your company choose the ideal sports personality for your next marketing campaign. To hire Lisa Leslie for an appearance, speaking event or endorsement, contact Lisa Leslie's booking agent for more information.